Home » Featured » Release Rundown 1 – John Daly, Christian Vance, Hugo, Barem + More! Release Rundown 1 – John Daly, Christian Vance, Hugo, Barem + More! Our weekly EP Fridays post has gotten a makeover! Introducing our weekly Release Rundown, featuring the best new EPs, compilations, mixes, and more! London-based imprint Love Fever is back with its ninth release, a stunning 3-track effort by Irish producer John Daly. Title track “Shine” is a 10-minute slow burner full of emotive strings and deeply sensual synths cascading along timeless analogue bass tones. The next song, “Desake,” follows a similar vibe, containing a chugging bassline that provides the backbone for spiraling synths, delicate symbols and emotive vocals. Appropriately rounding out the EP, “Journey’s End” continues the dream-like sounds on the Shine EP with cloud-like synths that create space with their sound and soft strings that whir elegantly along deep bass tones. Plays these during a late-late after-hours set and you will have the crowd in the palm of your hand. 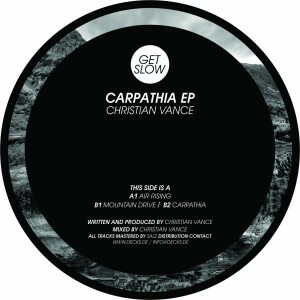 Australian Christian Vance has been producing and performing since the ’90s, and the experience is on full display in his upcoming release, Carpathia EP. Coming soon on Get Slow, Vance’s EP is a prime example of his nimble music production prowess. Named after the Carpathian Mountains in Transylvania, Christian said about the release “I always feel the name is inside the inspiration of the music… I had never dreamed of visiting the Carpathian Mountains as a child but that is where I ended up this year as a result of the invitation to make this record. Driving down the highway behind a traditional horse and cart with the mountains to my right, I knew the name of the songs on this record. Dream with your eyes open.” The album opens with “Air Rising,” defined by stripped back drums, soulful chords, and an emotionally driven vox that drives the track. Next up is “Mountain Drive,” driving dance cut full of contradicting sounds as bombastic basslines bounce with purpose and blend effortlessly with opposing psychedelic soundscapes that palpitate throughout. Rounding out the release is title track “Carpathia,” continuing a theme with bouncy bass tones, crispy hi-hats, string synths that build towards a powerful crescendo. Beyond quality sounds, the structure and layout of each track is incredibly impressive and demonstrates Vance’s veteran experience. Audiojack’s imprint Gruuv is known for it’s jackin’ house beats that are always fresh to death. 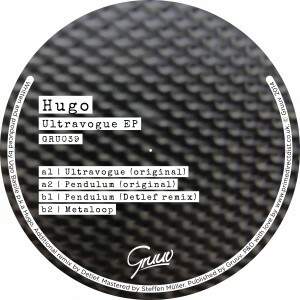 First timer to the label, Italian-based artist Hugo, brings his unique sound on the Ultravogue EP with 4 smokin’ tracks and support from the likes of Eats Everything, Pirupa, Pig & Dan and more. Title cut “Ultravogue” kicks off the release with a heavy dose of sub bass driving the composition while intermittent vocal rumbles and glitching percussive blips add a hypnotic element. The original mix of “Pendulum” ft. Heral comes next, maintaining a similar aesthetic to the previous cut with raw drums assisted by subterranean bass tones and looped vocal undertones. On remix duties next is Detlef who stamps his mark on “Pendulum” with a more direct dancefloor-fueled sound, accomplished with distorted drums, colossal bass hooks, and mind-melting baroscopic sweeps. Rounding out the release is “Metaloop,” a crowd favorite with an intricate drum arrangements, rapid fire snares, and titillating synths. Up-and-coming duo Dorsia blend an unusual combination of progressive house, disco, and deep-tech and make it their own. This is only Dorsia’s second release, and yet it sounds like it was made by seasoned veterans. 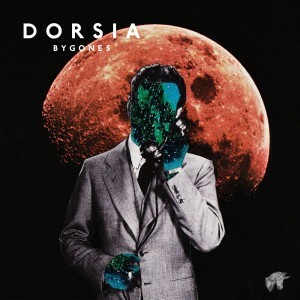 “Bygones” is the show stopper here, with a big room vibe characterized by infectious synth arrangements, chunky basslines, murmuring vocal clips, and quality song writing. “Formative Years” captivates the listener with glittering arpeggiated synths that wind around whispering vocals and a hard-hitting bassline. Making music beyond their years, Dorsia is a duo to keep an eye on in 2015 and beyond. 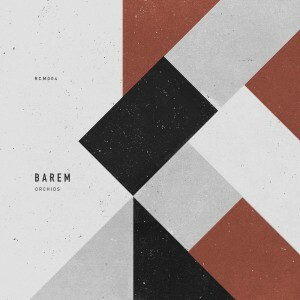 Minimal mainstay Barem, known for blending high-tech sounds with rollicking basslines and topping them with flavors from his native Argentina, is back with another infectious release, this time on UK’s fast-growing label Rhythm Cult. This three-tracker will captivate your ears in no time flat and hold onto you as layers delicately add and subtract throughout its longform tracks. Starting it off is “Vanda,” a cut equal parts mathematical and sensuous, which entices both your mind and body to give into the music. Middle cut “Phaius” takes us down a glitchier, synth-heavy road, reminiscent of but more developed than Barem’s early work on M-nus. Closing out the release is the piano-driven “Lycaste,” a jazzy and playful yet heavy track Ricardo Villalobos might drop as the sun rises. It’s clear this skilled producer has plenty more stories to tell on the dance floor, and with releases like this one we’re eagerly waiting to see what’s on the next page. This delightfully-funky EP comes to us from Detroit’s Gabry C. One look at his Beatport page and it’s clear he’s a producing junkie! 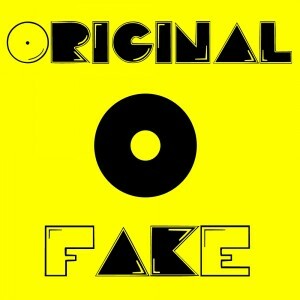 The new and the old interact throughout this release, from the sweeping synths on “Candy Boys” to the echoing 808s on “Colored Piano.” Blending house, deep house, and tech-house without sounding overly processed, this release appropriately calls Original Fake, a subset of Recline Music, home. If you’re also a sucker for incessant basslines, echoing vocals, and driving beats, you’ll enjoy this release. Give it a listen while getting ready to go out or while packing for Miami!